The First and Second Viennese Schools and their associated cultural environments constitute a fascinating, enigmatic musical terrain of strong mutual relationships. This recording seeks to explore points of tension between the two epochs by contrasting four central compositions – masterpieces which constantly inform our perception of what music is and what music can be. Two canons, mirrored in their own reflection. Hybrid Super Audio-CD 5.1 SURROUND + STEREO produced i DXD (Digital eXtreme Definition). This compact disc looks like a normal CD and plays on all standard players and computers. Download the complete first movement from the Beethoven sonata free of charge from our HiRes test site! 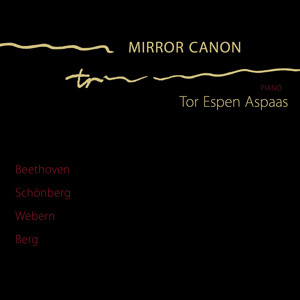 Pianist Tor Espen Aspaas is one of the most outstanding and versatile musicians of his generation in Norway. Aspaas (born 1971) has since 2007 been professor at the Norwegian Academy of Music in Oslo. He has been engaged as a soloist by all the professional Norwegian symphony orchestras, and by many international ensembles in collaboration with conductors including Frans Brüggen, Vasily Sinaysky, Christian Eggen and Michel Plasson. Aspaas has made several recordings, including a solo CD of Paul Dukas' complete piano works (on the label SIMAX Classics) which has received excellent reviews in the international press. Aspaas recording of DUKAS was one of the victims of the ”Joyce Hatto hoax”. The 2L label is featured in the March issue of Dutch magazine HiFi Video Test. Our sampler CD accompanies the magazine, sponsored by Van den Hul.